MUNICH SHOW: PMC to offer 20-year warranty to celebrate anniversary | What Hi-Fi? 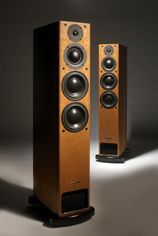 PMC is marking its 20th anniversary by offering a 20-year warranty on all its passive loudspeakers. The announcement, made at the Munich High End Show today, comes in to effect from today but will apply to all speakers bought from January 1st this year. All PMC's speakers are designed and assembled at its Luton factory, allowing the company to rigorously test and check all parts and finished products. Records are kept for every speaker made to ensure that identical parts can be supplied in the event that replacements are required. The 20-year warranty applies to all new passive PMC speakers.